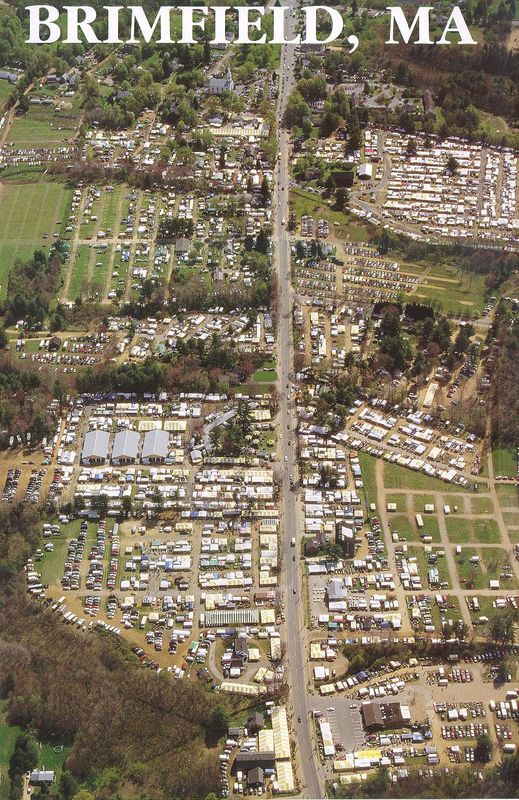 The Brimfield Antiques & Collectibles Shows, affectionately known as the Brimfield Flea Markets, have been in existence for 50 years. The show has been dubbed the Queen of the Outdoor shows, and a Smithsonian Treasure. New England Motel's 400 dealers are part of the 4,500 dealers who converge three times a year, May July, and September, on a one-mile stretch to sell their wares. During our five-day show, four hundred of the finest American and foreign dealers find their home away from home at New England Motel. You can find New England Motel in the middle of the mile. The picture on the right, with Route 20 in the center, shows all of the fields of the event. 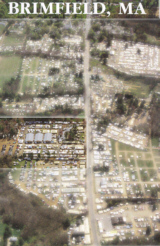 New England Motel & Antique Shows is easily recognized by our 3 pavilion buildings. Click the highlighted portions of the image to view the New England Motel and Antiques Market field. Click the duller portions for a larger, more detailed view of the image (360K).